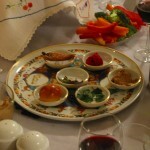 OzTorah » Blog Archive » The last supper – a Passover Seder? 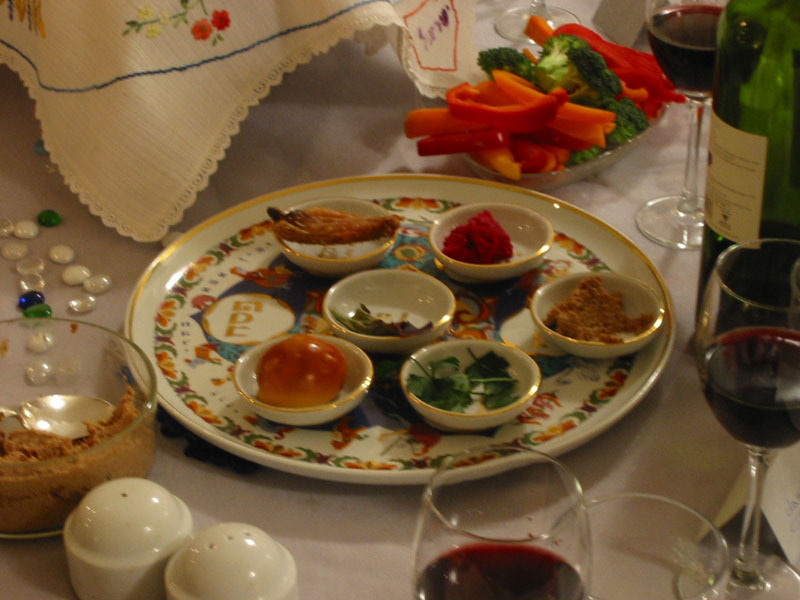 The last supper – a Passover Seder? The following article by Rabbi Raymond Apple appeared in the Jerusalem Post on 13 April, 2014. Was Jesus’ Last Supper a Passover Seder? From the New Testament gospel accounts we cannot be certain. The main sources are Matthew 26:17-30, Mark 14:12-31, Luke 22:1-19 and John 13:1-30. All are aware of what time of the year it is. All speak about preparing for Pesach, but none conclusively identifies the occasion. The “Synoptic” gospels – Matthew, Mark and Luke – suggest a Seder connection, even though some Seder items are missing or incorrectly identified. The fourth gospel, John, is less likely to be describing a Seder and says that the occasion was 24 hours earlier – Thursday as against Friday. Seder elements lacking in the Synoptic gospels are the preparation of the paschal sacrifice; explicit reference to matzah, maror and charoset; the Mah Nishtanah questions; and the father’s narration of the story. Wine is mentioned, but not four cups. How can it be a Seder when so much is missing, and the event lacks even a rudimentary Haggadah? There is confusion about the timing of the Supper: Luke thinks it was “the day of unleavened bread”; Mark and Matthew speak of “the first day of unleavened bread”. In fact in Temple times the paschal sacrifice took place a day earlier. All three use the phrase, “prepare for our (or ‘your’) Passover supper”. The truth may be that though the Last Supper took place shortly before Pesach, it was not a Seder at all but a talk-feast, a meeting of the fellowship – the chavurah – which Jesus constituted with his disciples. The participants would have said the regular blessings over bread and wine, as well as the grace after meals, like devout Jews at any meal: important elements, to be sure, but on their own they do not add up to a Seder. How about the divergence between John, who places the meal on Thursday evening, presumably a day before the festival, and the others, who make it the actual eve of Pesach, Friday night? How can the sources be so unsure? Wouldn’t the participants have remembered which night it was? It cannot just be that the gospels were not meant as a historical record, or that memories might have been faulty. Even though the narrative was written after the event when some Christians no longer kept Jewish law, others would have objected if the basic data were wrong (though there may have been several types of calendar at that period). The decisive point is that the Supper story was not history but theology. Seder time was simply a general backdrop. The crucial message was the claim that Jesus was redeemer and saviour. John emphasised the previous day in order to present Jesus as the willing sacrifice. When the Temple was destroyed and animal sacrifices were suspended, Jews underwent a profound inner crisis. Unable to mark Pesach by a Temple offering, they took the radical step of replacing the paschal lamb as the top ranking item by upgrading the matzah. Christianity saw a continued possibility of a korban Pesach with Jesus as the “lamb of God” whose sacrifice was a redemptive offering. Christianity thought it more important to link Jesus and Passover than to document the details of a Jewish festival ritual, and it told the story of the Last Supper from a theological rather than a historical stance. For Christianity the Last Supper may or may not have been a Seder. The question is not important for Christians. For Jews, interested in the history of one of their major festivals, the problem remains. Was the Last Supper, at least in the hands of the Synoptic gospels, a Seder? The best we can do is to say that both events, Pesach and the Last Supper, share certain Passover-type concepts but interpret them differently. However, the real question is not whether the evening meal was a Seder but whether the Passover that Jews continued to celebrate was what it ought to have been. Quoting the view of Justin Martyr in the strange “Dialogue with Trypho”, Bokser says, “Justin’s polemical implication is that Jews can no longer partake of the Passover offering though Christians can, through the body of Christ.” Jews profoundly disagree. Visit the “interfaith” section of the OzTorah website for more of Rabbi Apple’s insights on Jewish-Christian issues. This entry is filed under Articles, Festivals & Fasts, Interfaith Issues, Pesach.